Construction has started on a massive $2 billion office tower and bus terminal complex in downtown Toronto that will reshape the city’s skyline and bus transit systems. 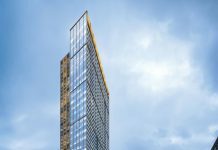 EllisDon is the general contractor for CIBC Square, including two towers of 49 and 50 storeys each, on either side of the rail corridor on Bay St. Just north of the Gardiner expressway. The developers are Ivanhoé Cambridge and Hines. The offices will house a combined 2.9 million sq. ft. of commercial space with (not surprisingly) CIBC being the main tenant. At the June 22 ground breaking ceremony, provincial transportation minister Stephen Del Duca said the project will link jobs to public transit. The new GO Transit bus terminal at 81 Bay St., at 10,000 sq. m., will be nearly twice as big and have 14 bus bays, compared to seven at the current terminal. 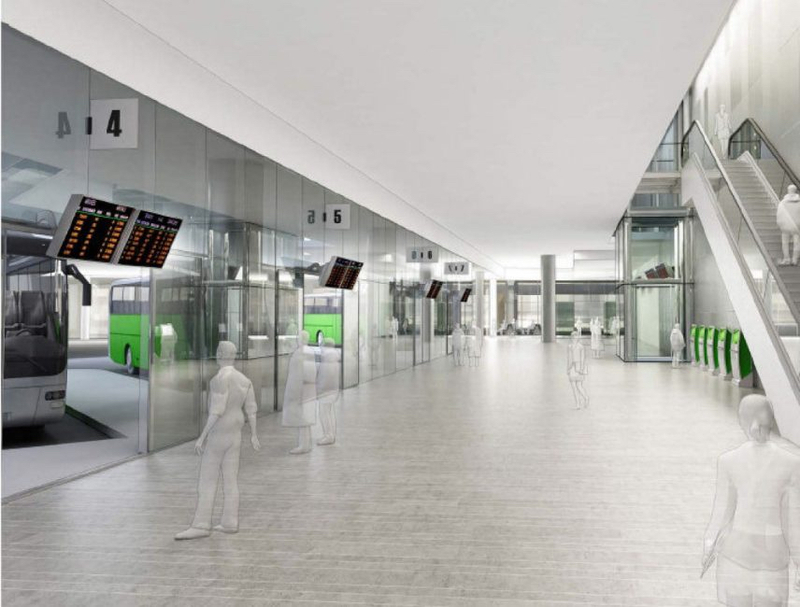 The terminal is expected to cost $102 million, which Metrolinx will fund, in part, by selling the land on which the bus station sits now to the project’s developers, The Toronto Star has reported. The first of the towers and the bus station are expected to be completed by 2020, while the second will be finished by 2023. The complex will include a one-acre park straddling the rail corridor. At the ground breaking, Toronto Mayor John Tory said he was “particularly interested in the park” as a test case for the concept behind Rail Deck Park, a planned $1 billion, 21-acre park over the rail corridor that would be further west. Tory has been a strong supporter of the Rail Deck project, which is not yet funded. 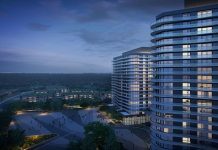 The overall project is targeting LEED Platinum certification.